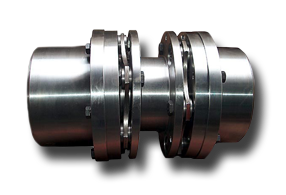 With our mechanic shaft couplings we ensure secure connections of machine shafts in nearly all sectors of industry. 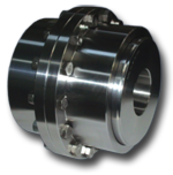 Our high-quality couplings for industry are suitable for use in many applications. 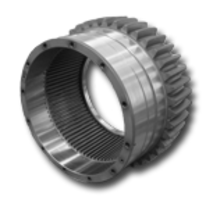 Our large program of couplings offers always (at least) one solution for optimal transmission of performance. High capacity of torque compensation of radial, angular and axial shaft misalignment and absence of circumferential backlash are some of the characteristics of ALFORM-Couplings, which offer special advantages in practice. 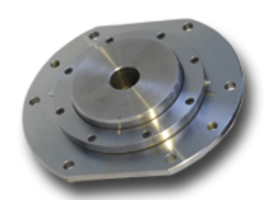 We offer couplings in a torque range of up to 10,000,000Nm (10,000kNm) and a bore diameter up to 1200mm. ALFORM-Couplings are especially reliable, require little maintenance and low investment- and operating costs. Also as individually adapted solutions they convince by highest product-quality and exceptional lifespan. With various designs, usually made to measure, we offer a wide scale for nearly all applications. Spacers for larger shaft-distances we manufacture according to your specifications. Download PDF-Catalogue: ALFORM_Industrial couplings.pdf Please choose your couplings from our catalogue for industrial standard couplings or send us your inquiry about customer-specific couplings with your specifications to sales@alform.de! ALFORM-Elastic couplings are easy to mount and suitable for plug-in installation. 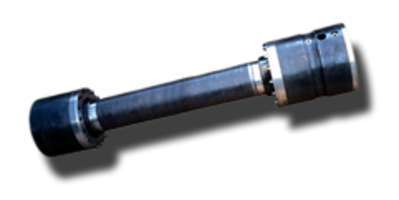 The elastomeric elements compensate shaft misalignments and absorb moderate shocks of motor or machine. As a standard coupling or as an application-related coupling, we offer a wide range of flexible couplings for various applications. ALFORM-Pin and Bush couplings can be used as elastic flexible couplings where under rough operating conditions a reliable torque transmission is required. The conical seat of the buffer pin facilitates easy installation and ensures a maintenance-free operation. The optimized shape of barreled buffers allows a simple plug-in installation and also low circumferential backlash. 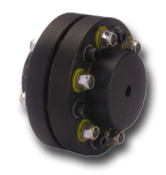 ALFORM pin and bush couplings are used in engineering, both for high torques and as a high-speed coupling e.g. in: cranes, conveyors, fans, screw pumps, lifts, cement mixers or processing machines. ALFORM-All-steel couplings have no circumferential backlash and are suitable for machines which need to be driven very precisely. Examples include paper and printing machines. ALFORM-Flexible gear couplings (17 different series) with external curved milled teeth and small backlash are particularly suitable for rough operating conditions, such as drives of the iron and steel industry and cement industry. 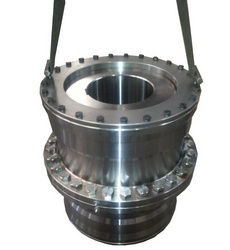 Our double-jointed, flexible gear couplings are manufactured from forged tempered steel C45. The teeth are induction hardened (48-52 HRC). They do not claim the adjacent shaft bearing in the axial direction, but permit axial displacement of the shafts. They are to be used for both directions for either horizontal installation, as well as in special design for vertical installation. Curved teeth allow avoiding excessive edge pressure and extending the lifespan of the gear. ALFORM-Gear couplings ensure by their optimal tooth shape and their high-grade materials highest reliability.